The Shul Hebrew School offers a Madrichim Program where youths have the opportunity to experience first-hand, the art of teaching students in a learning environment. The Madrichim provide peer support to the other students in their assigned classes. The Shul’s Hebrew School program offers a Hebrew and Jewish studies curriculum. Students learn the why’s and how’s of contemporary Jewish life. Students learn to read and write Hebrew. We instill Jewish pride and create spiritual connections that last a lifetime. Our Madrichim are given responsibilities such as assisting the teachers, learning their training, tutor struggling students, class-related duties, and more. The first year of the Madrichim Program will be spent training and gaining experience. After accomplishing and completing one (1) successful year, you may be offered to join us for a second year with the opportunity of a paid position. Synagogue membership is appreciated, but not required. Reliable transportation and attendance is required. 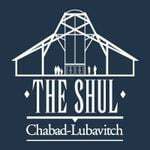 What specific skills can you offer The Shul Hebrew School as a Madrich/a? What do you hope to gain from this program experience? Obtain a work permit from your school. Inquire at your school office. Teaching Assistants (TAs) assist with classes, but many times serve as the leader for one or more class activities. Be sure to understand the assignment or activity before beginning. When in the state of mind to accept training, learning is easier. Working with your assigned teacher, the training you will receive will lead you to feel more confident in three instructional areas: classroom management, student involvement, and instructional strategies. Experience is gained through instruction and practice. · You may be responsible to engage all the students in a game or activity. · Demonstrate or participate in the activity yourself. If you have any questions about the daily assignments, ask the teacher. If you want kids to listen, lower your voice instead of raising it. This forces kids to focus. Whisper, ‘If you can hear me, touch your nose.’ After a little while, everyone does it. If students don’t like an activity, pull out a timer and give them exactly ten seconds to complain. Once the timer dings, it’s time to get to work. Kids who don’t read over school breaks lose their sharpness by the time they get back. Encourage them to read at least 3 lines every day. To get students to calm down and refocus after snack or recess, ask the teacher if you can dim the classroom lights. This does the trick. Kids are less likely to complain if they feel in control, so offer them choices where all outcomes are acceptable to the teacher. Young children are often more visual, rather than auditory, learners. If you want them to pick up toys, label shelves with the name of the object and a picture. To help them have ownership, have them help make the labels and the pictures. Make clean-up easy and fun. Make a game or contest out of it. Store supplies and toys where the teacher wants them. It is invaluable to have a child look at you when you tell him/her something important. The same goes for you. Look at the teacher or student when they are talking to you. Well done! Great! Satisfactory! Right! Way to go! Outstanding!